Our friends from Fairweather in Japan have been hitting it out of the park with their newest offerings of tires and handlebars. Their new 700x32 Traveler tires use the same herringbone tread pattern as their 28mm variant, but with a bit of added air volume for comfort on long days of mixed terrain conquering. They weigh 267g, but who's counting? Like the 28s, the tread colors (pictured left to right) come in Algae (my favorite), Black, Rust, and Asphalt. These Bullmoose Bars in Noir and Silver will add a touch of retro flair to any build, whether it's a roadie-townie conversion or a bikepacking rig. At 710mm, they're wide but not too wide. The integrated stem makes for a 90mm extension and just the right amount of sweep for a neutral riding position. They're made for 1 1/8" threadless steerers, but they work well with our Threadless Adaptor. Well here we are at the middle to third week of August and one has to ask, where has summer gone? I heard on the radio today, people talking about kids going back to school in a bit over a week from Monday and then everyone getting back into their "normal" routines of commuting and such. Here in the Mid Atlantic, temperatures are still up in the 90's. 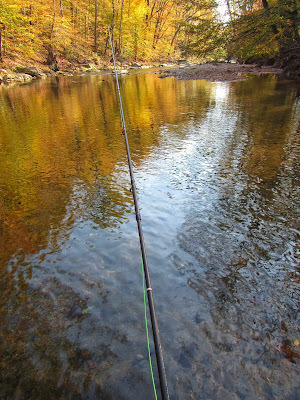 The C & O is still in it's full green zone, with lots of overgrowth. The afternoon thunderstorms tend to make the trail a bit mucky at points, but a day or two without rain, they dry right out. I've been keeping my rides down to 30 miles or so, done first thing in the morning to avoid the heat and humidity of the mid afternoon. Chris has been bike fishing to avoid the heat as well. Our prototype drawings of the Mk4 Polyvalent have been signed off, so now we wait for the prototypes to be made. Hopefully we should have them for late October, just in time to show them off at the Philly Bike Expo at the the start of November. The Cigne stems are just finishing production, so those should be done around Labor Day and we're going to air freight those in due to the high demand we have for them. Any plans for the time before Labor day? Anyone have a good tip on reducing the impact of the heat other then hibernating in the basement? BTW- we got some cool bamboo tops for the Klean Kanteen bottles. An easy way to update an older bottle. Dia-Compe 11-speed downtube shifters have landed. Retail is $85. Here they are on the site. Not compatible with bar end or "thumbie" mounts because of the oversized barrel. Where s is the number of speeds of your cassette. If the total is less than 50mm, these shifters should work. More about these on my previous post; I'm still running this setup on my Passhunter. They're compatible with all sorts of derailleurs and they look pretty spiffy with a pair of these. In other news, the Cigne stems are due in soon, hopefully within the next month. We're thinking these will be $80 retail. As for the Polyvalent 4, we're still pretty far out and waiting on first prototypes. The time scale will depend on how these turn out and what we want to change. These are nifty little shifter covers from Rustines that add a nice bit of grip and flare to your downtube, bar-end shifters, and quick releases. Do you need them? Yes. They'll make you go faster, you'll be more attractive, and flowers will blossom as you ride by. They're compatible with any classic downtube or bar end shifter, with the exception of those big, paddle Huret shifters. 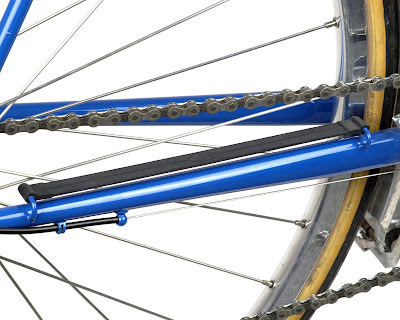 These Constructeur Chain Slap Guards are for bikes with brazed-on prongs. Unstretched, they are 222mm from center-to-center. If you're getting a custom frame made, give the builder the slap guard beforehand so they know where to place it. I'm thinking we should bring back the slap guard mounts for the Polyvalent, what do you think? Lastly, check out this lovely mini, die-cast, 1965 Jacques Anquetil. He's one of a series of "Road Giants". Maybe a good Christmas stocking stuffer?